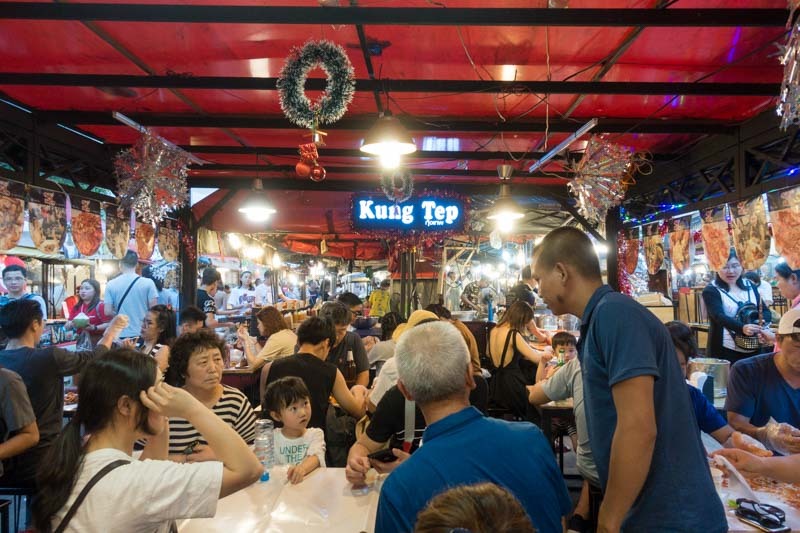 Thailand is well-known for cheap food and affordable shopping but did you know that the seafood scene in Bangkok is amazing too? 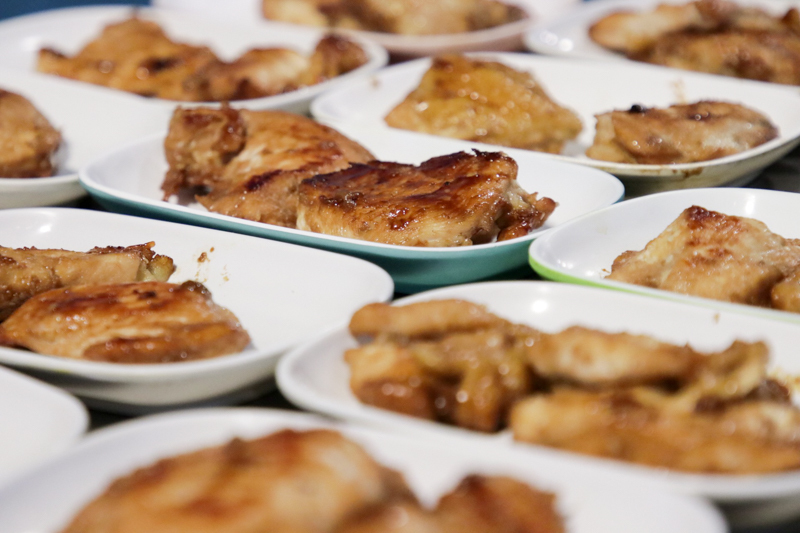 Food is so important to us Singaporeans, especially when we are travelling. 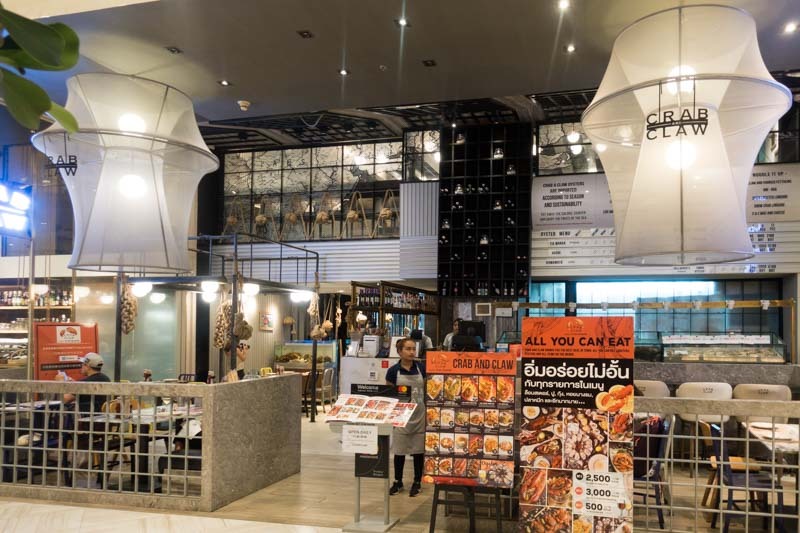 So here are 10 seafood places ranging from buffets to street food in Bangkok that you should consider trying. 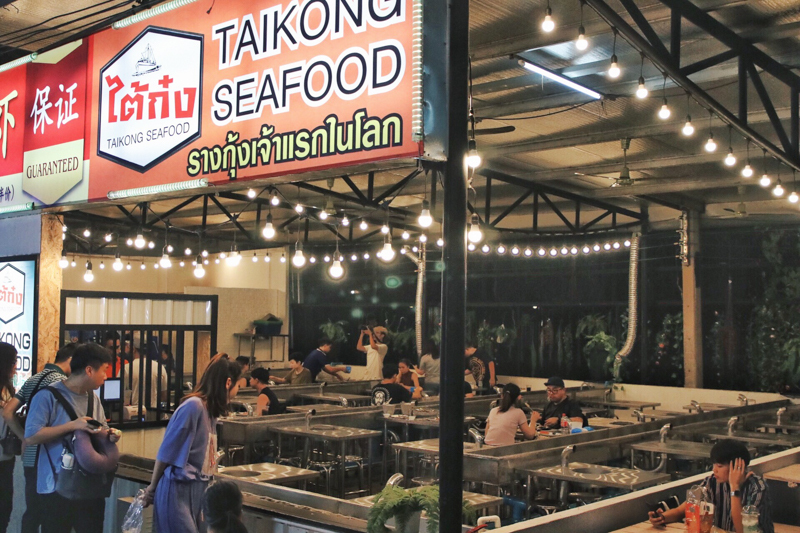 Taikong Seafood is tucked away in the corner of the busy Ratchada Night Market and they offer a Seafood Buffet (THB799). 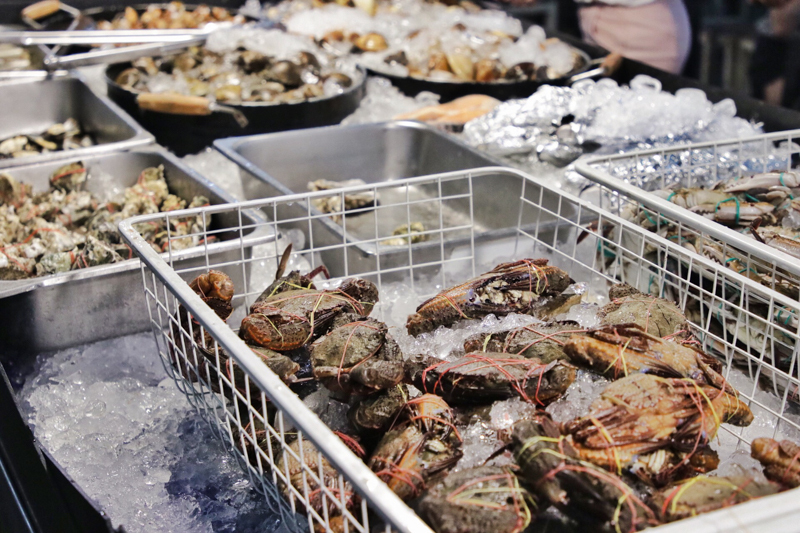 But unlike any other seafood buffets, this one has a tank filled with jumbo prawns running down the aisles. All you need to do is pick the prawns up, shock them in a bucket of ice water before throwing them onto the charcoal grill. 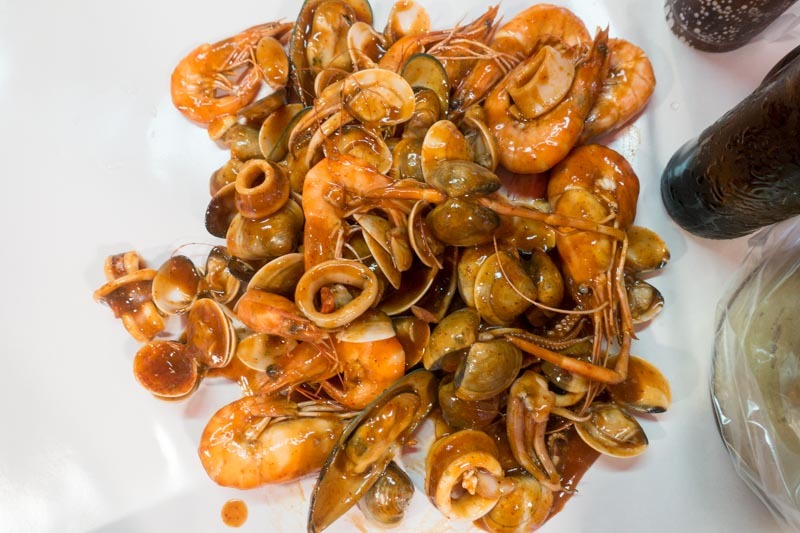 On top of that, Taikong Seafood also offers a wide variety of other seafood such as bamboo clams, scallops crabs and many more. I really liked that they have mozzarella cheese for us to melt and use as a dipping sauce. Taikong Seafood has to be one of my most memorable seafood places in Thailand as catching these prawns can be quite entertaining. It could even be an interesting date idea! Every 30 minutes or so, a soundtrack with a fast beat would come on. All of a sudden, these waiters would all start dancing and squealing! When the music comes to an end, they all go back to taking orders and pretend nothing has happened. 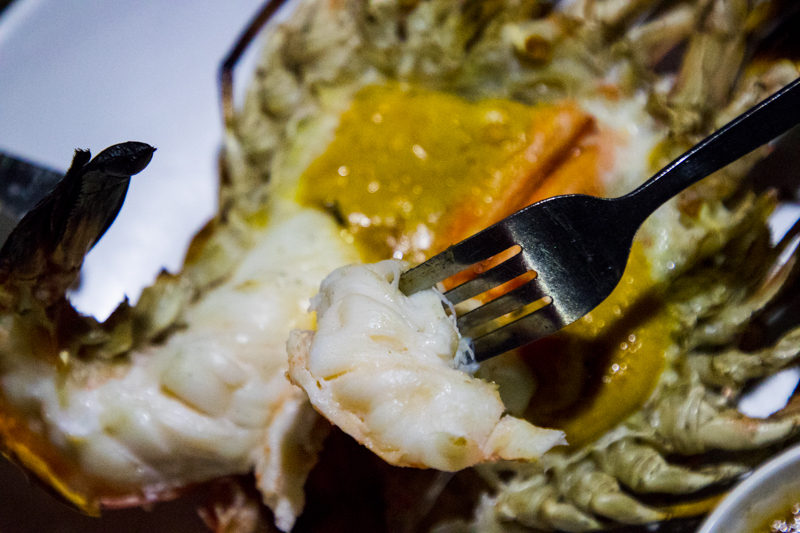 They have a simple menu serving up several seafood options such as Scallops (THB100) and Mussels (THB100). 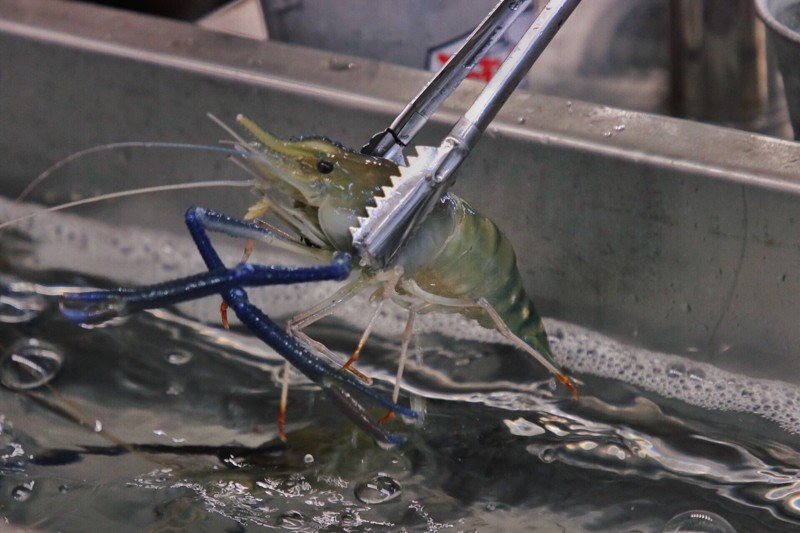 But the highlight has to be the butterfly Jumbo Prawns (THB600) which were thick and crunchy. Dipping it into the seafood sauce provided made them much more succulent. 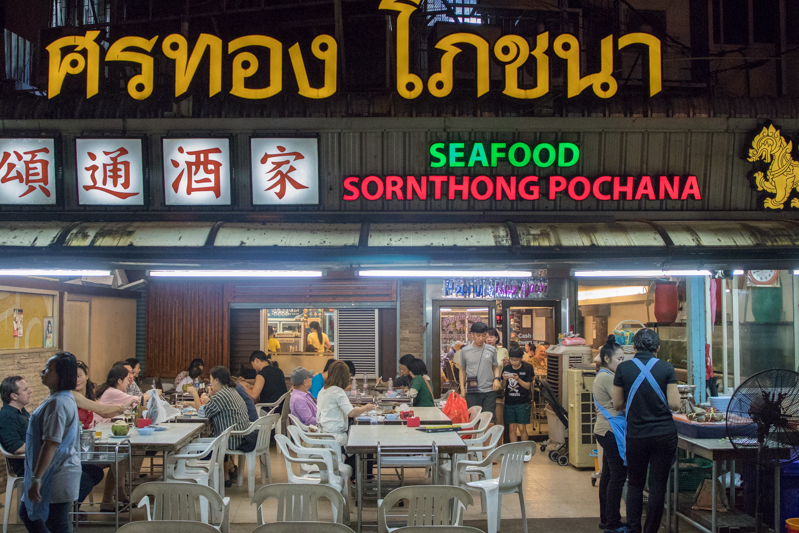 Sorn Thong is known for its quality seafood at an affordable price and they were included in the Michelin Guide for 2019. The storefront is easily noticeable with the yellow signboard and a busy crowd. 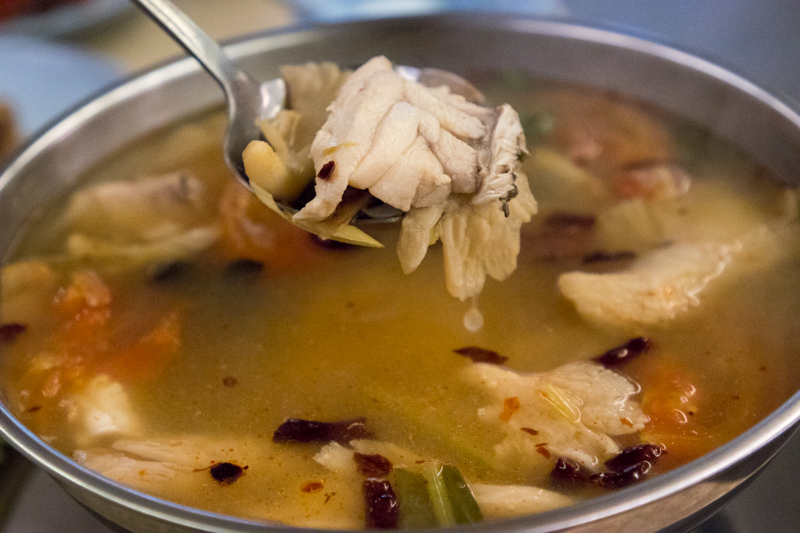 You can look forward to their Clear Tom Yum Soup (THB 180). 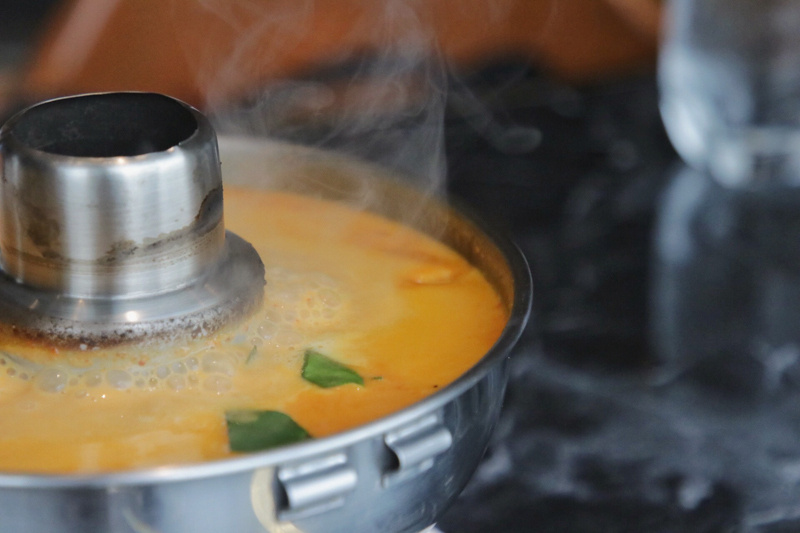 The tom yum soup has aromatic lemongrass and citrusy flavours, while the juicy fish chunks bring out a natural sweetness. However, although Sorn Thong is very much a value-for-money place, I feel that the quality of seafood could be improved. 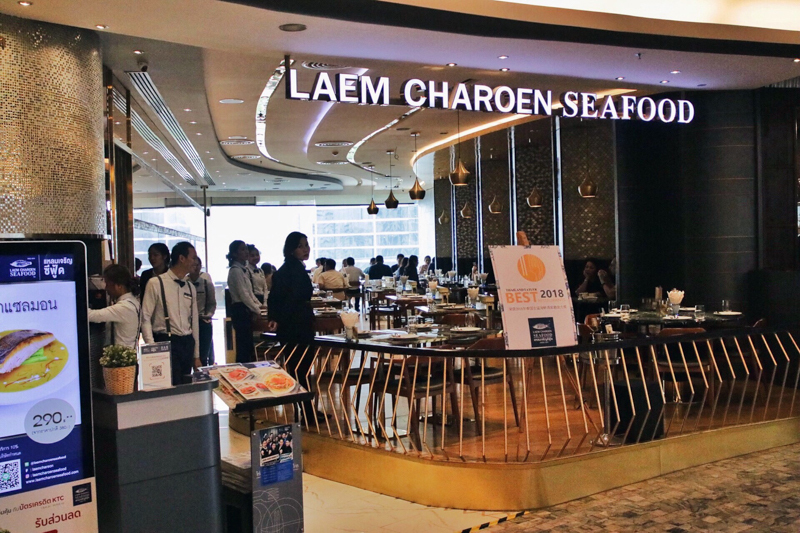 Laem Charoen Seafood is a seafood franchise in Bangkok with more than 35 years of experience. They were the first to introduce the Deep Fried Sea Bass With Fish Sauce (THB490++) which has been popularised ever since. 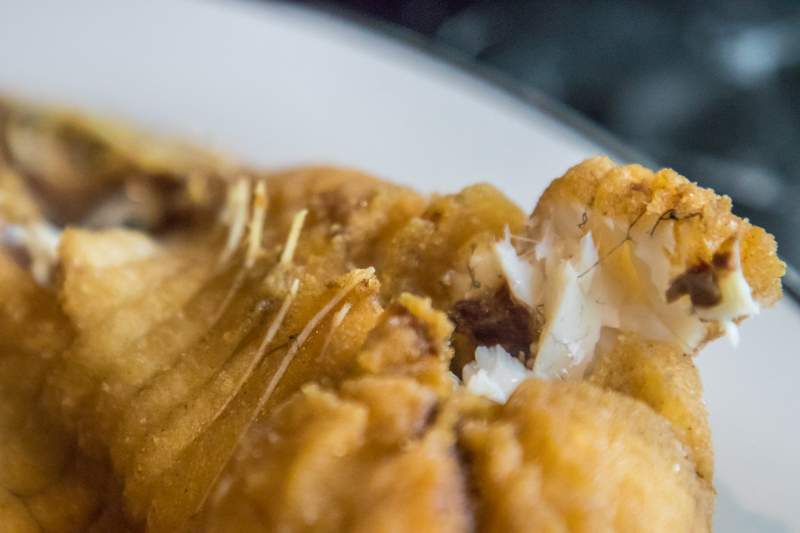 The fish came with a golden-brown crispy crust on the outside while flaky and juicy on the inside. The saltiness of the fish sauce brings out the sweetness of the fish, but I would recommend that you dip into the fish sauce sparingly as it can get really salty. Another dish I would highly recommend is the Crabmeat And Crab Egg Thickened Spicy Soup (THB420++), which was basically thickened tom yum soup with coconut milk. The soup has slightly spicy burn but the coconut milk kicks in to take the edge off. I also really enjoyed the generous portions of crab meat and crab roe in the soup. Laem Charoen has to be my favourite restaurant coming to Bangkok, and no doubt I’ll visit them again should I ever go back there. 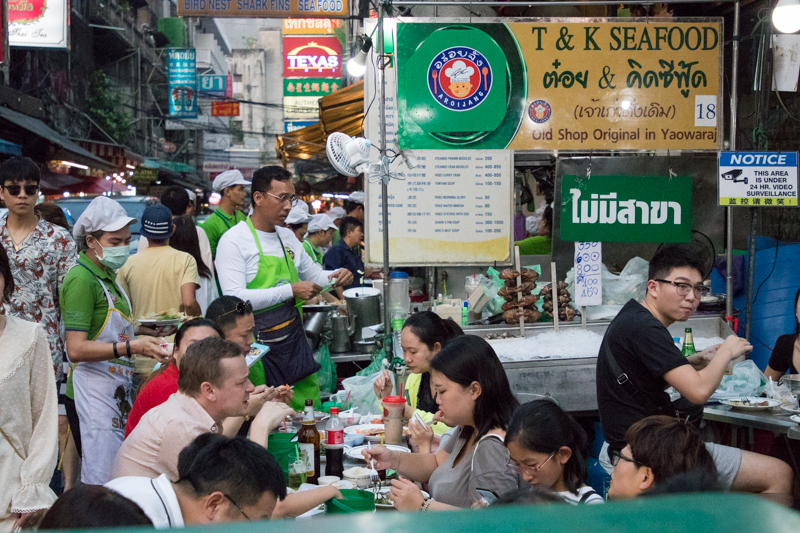 Nestled in Bangkok’s busy Chinatown, T & K Seafood is a popular choice for many Singaporeans and foreigners alike for its cheap food. 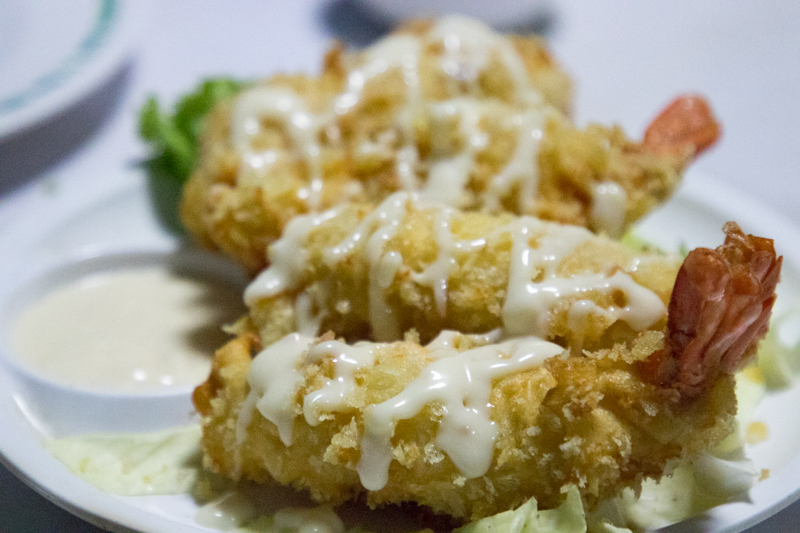 I would recommend going for the Fried Prawns With Salad Cream (THB200). Unlike many other places, the prawns here were much bigger than usual and really juicy and crunchy. If you’re not a fan of fried dishes, there are also other dishes such as Crab In Fresh Milk (THB400). 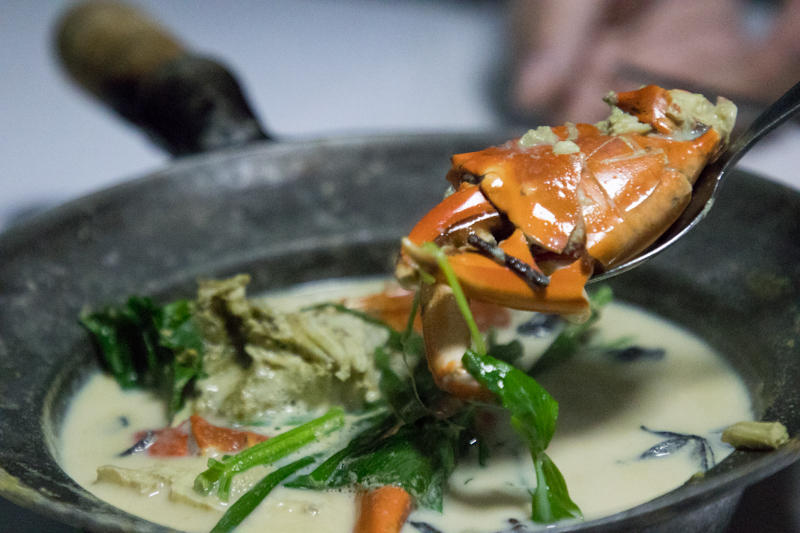 Infused with creamy milk, the dish showcases the sweetness of the crab meat. 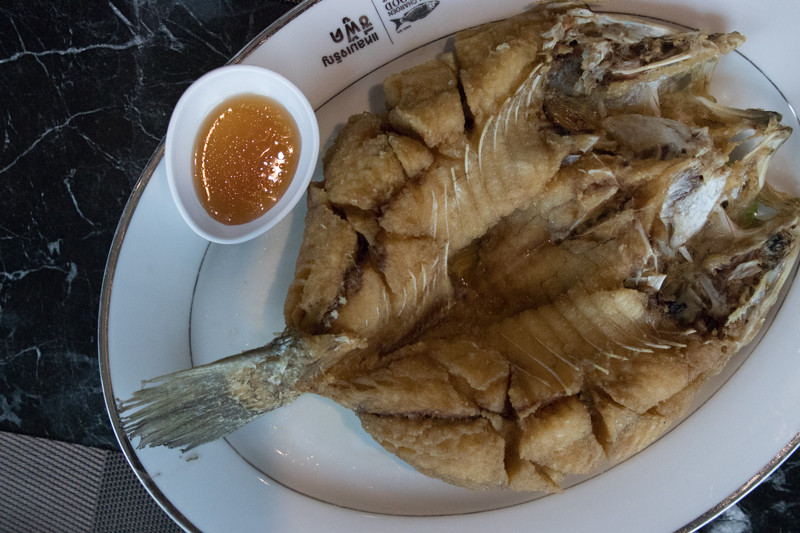 With such high-quality ingredients, it is no wonder why the modest T & K Seafood restaurant needs four different seating areas to accommodate the large crowd. 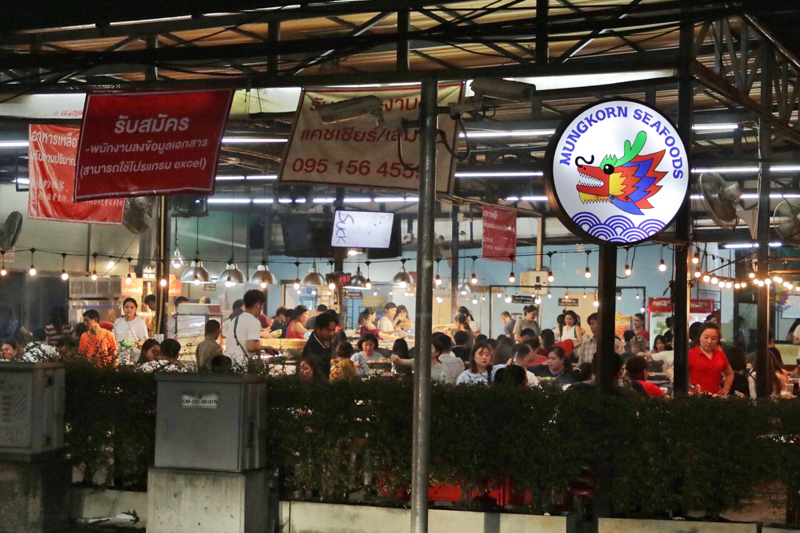 If you are looking for a value-for-money buffet place, then Mungkorn Seafood might just be the place for you. They offer a Seafood Buffet (THB499) with unlimited barbecued seafood, and there’s no time restriction. 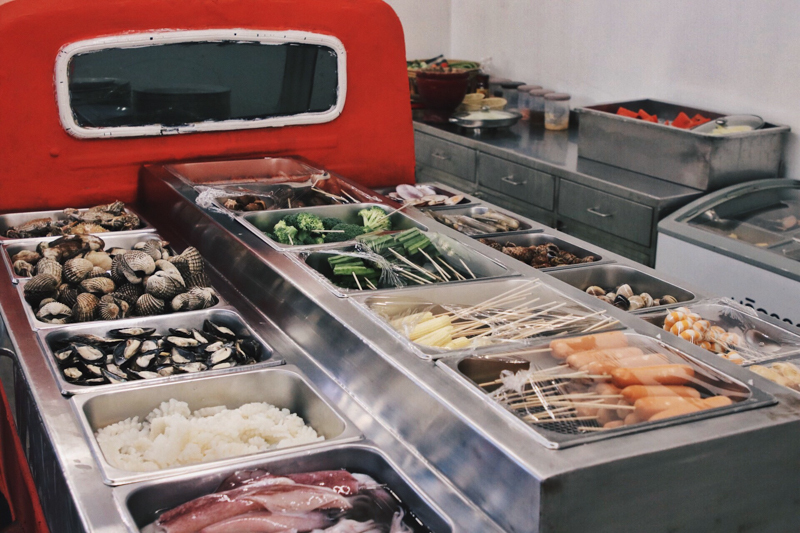 They offer a variety of cooked meats as well as raw seafood. Similar to the abovementioned Taikong Seafood, you could go up to the buffet spread and catch live prawns out of a styrofoam box. 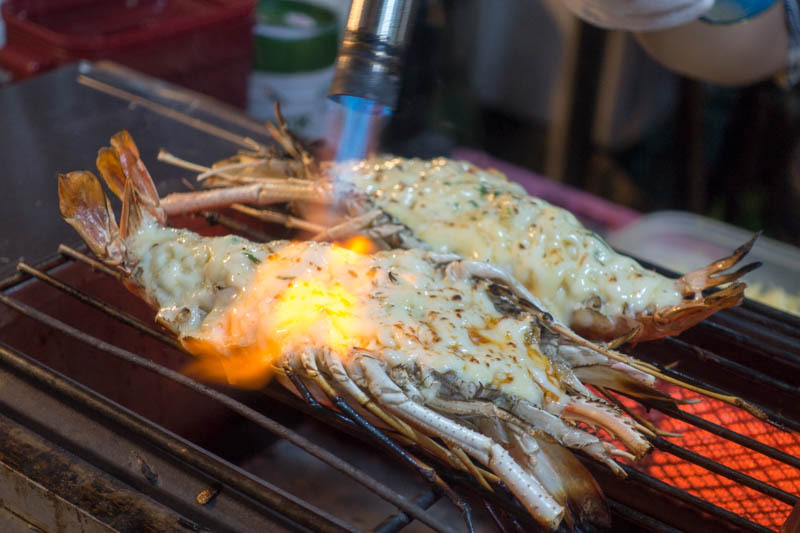 Likewise, Mangkorn uses a hot charcoal grill for extra smokiness in your seafood. However, I feel that the seafood was not as fresh as some of it tasted bitter. 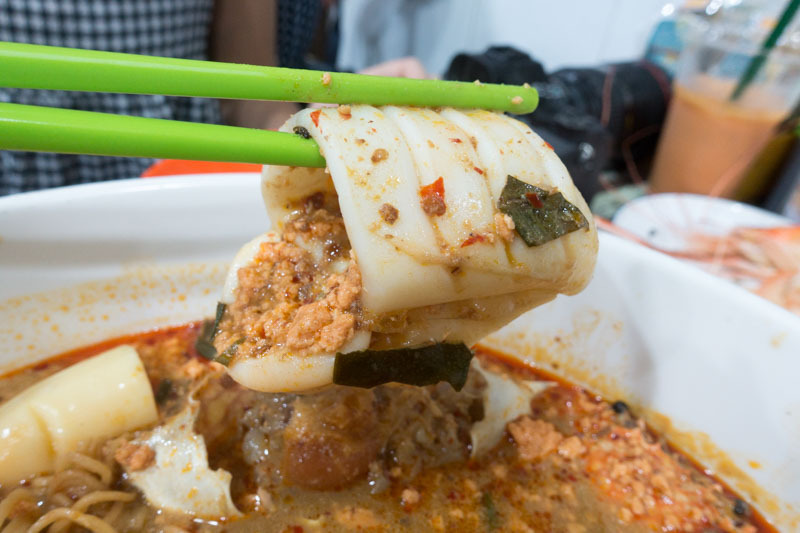 Furthermore, we even found many plates of steamed fish in soya sauce to be raw in the centre. 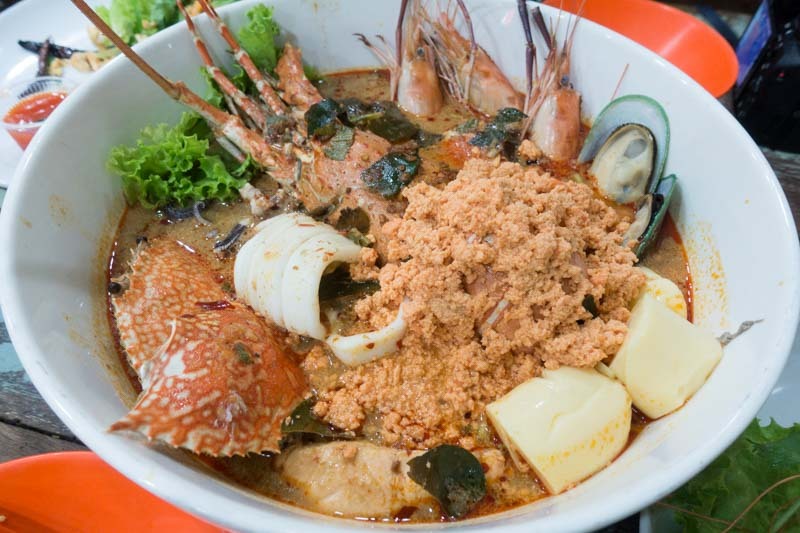 Pe Aor brings an ordinary bowl of seafood tom yum to a new level. The Lobster And The Gang (THB1200) was the largest bowl of tom yum we’ve ever seen and there were so many different kinds of seafood in it. There was lobster, squid, quail egg, prawns, crab, tofu, mussels, and the entire pile of fresh seafood was topped off with lobster roe. It is a must-order should you ever visit them, as the sweet and fresh seafood came in very generous portions. Their tom yum was tangy yet sweet and you can even choose the type if noodles. I went for the instant noodles as it was comfort food for me. 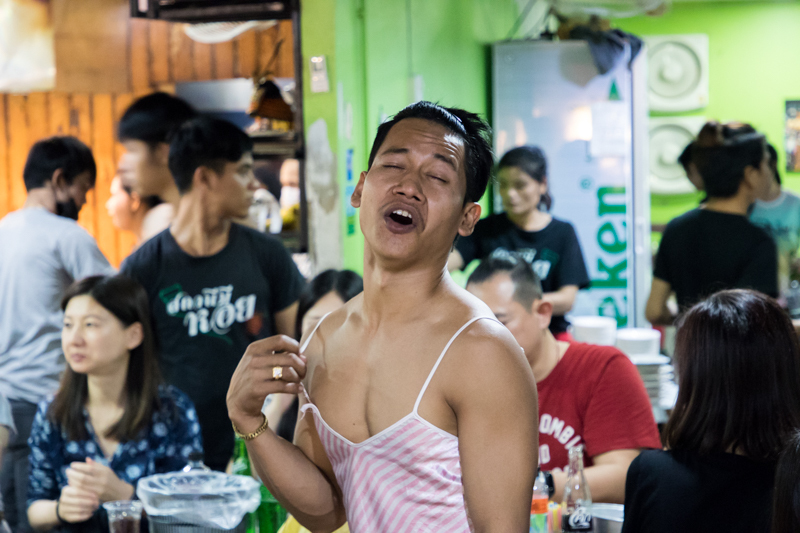 Give them a shot if you are ever in Bangkok! 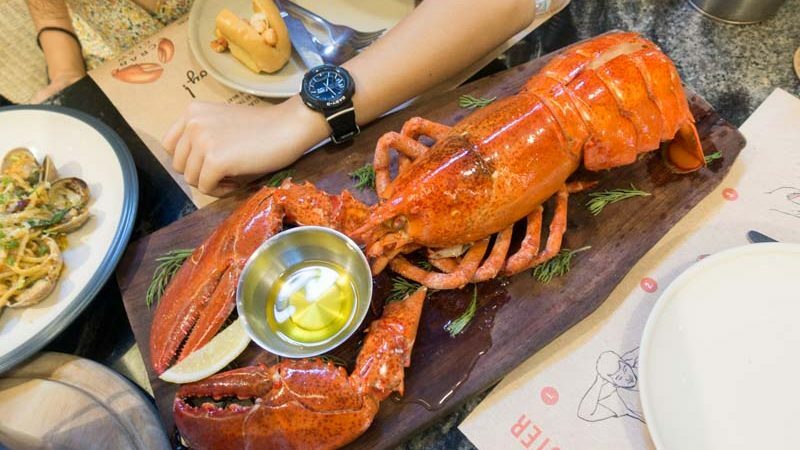 Situated in Siam Paragon, this posh seafood restaurant was made famous for their insanely enormous Classic Steamed Whole Lobster, Served With Drawn Butter (THB2800, 1000 – 1300 grams) that’s as big as your arms. The meat was sweet and succulent, with the butter rounding off the flavours with its subtle nuttiness. 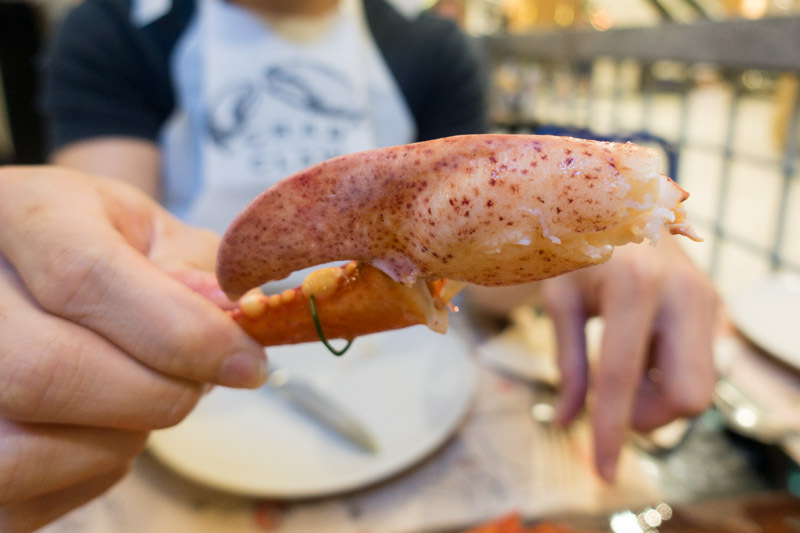 A fair warning though, due to how big the lobster is, you will need to get your hands dirty. However, we were slightly disappointed with the amount of lobster meat, as we thought we would get a lot more for that size and price. I felt that the large size was only due to how big the head of the lobster was, so when it came down to the meat, it was still relatively very little. 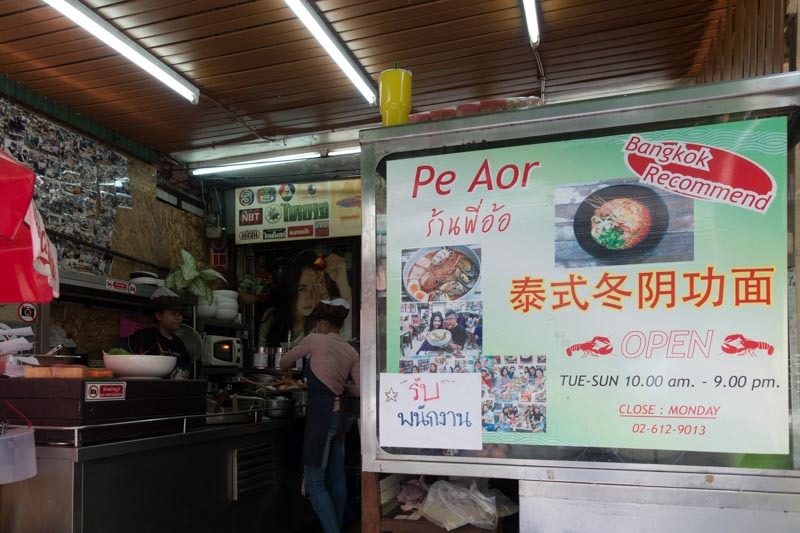 Nestled in the crowded Rod Fai Market is Kung Tep, one of the many seafood buckets around the area. It had a long line of people queuing for it so like a typical Singaporean, I knew that it must be worth trying. We had their M Sized Seafood Bucket (THB389) which came with prawns, squid, clam and mussels, and is drenched in their “special sauce”. The sauce tasted like a slightly spicy marinara sauce and it helped to mask any fishiness in the seafood. If you come in a bigger group, you can go for their larger size buckets like the L-sized one (THB489) for two to three pax and the XL for three to four pax that’ll cost THB689 and includes free blue crab. On top of that, if you need more carbs, you can also request to add spaghetti to your bucket at just THB20. 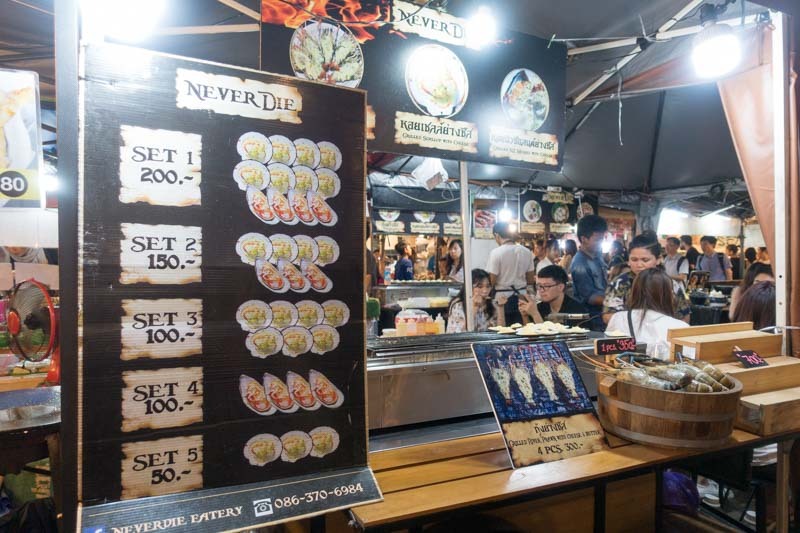 Neverdie Eatery is another seafood stall we visited at Rod Fai Market, with a limited menu serving only prawns, scallops and mussels. 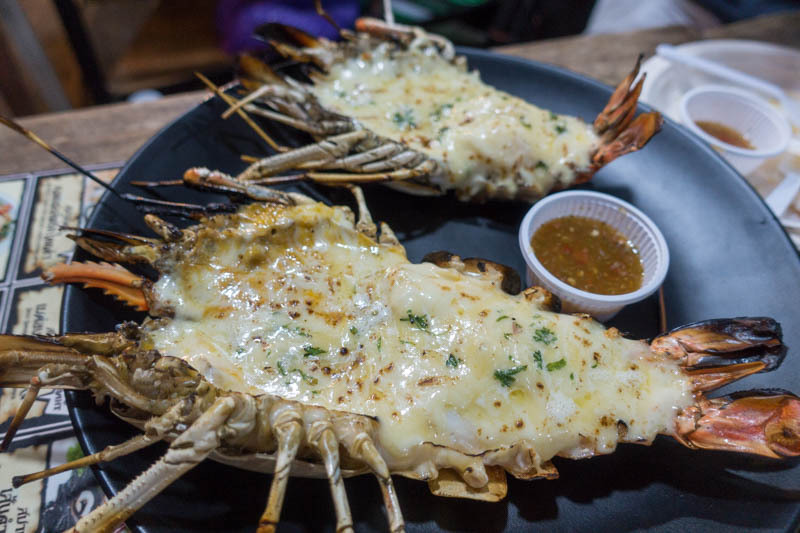 We tried the classic Grilled River Prawns With Cheese & Butter (THB350/1pc). The melted cheese and butter on top was creamy and with a hint of smokiness, thanks to the fresh herbs and blowtorching process. However, there was not much meat so it felt like we ate more cheese than prawn. 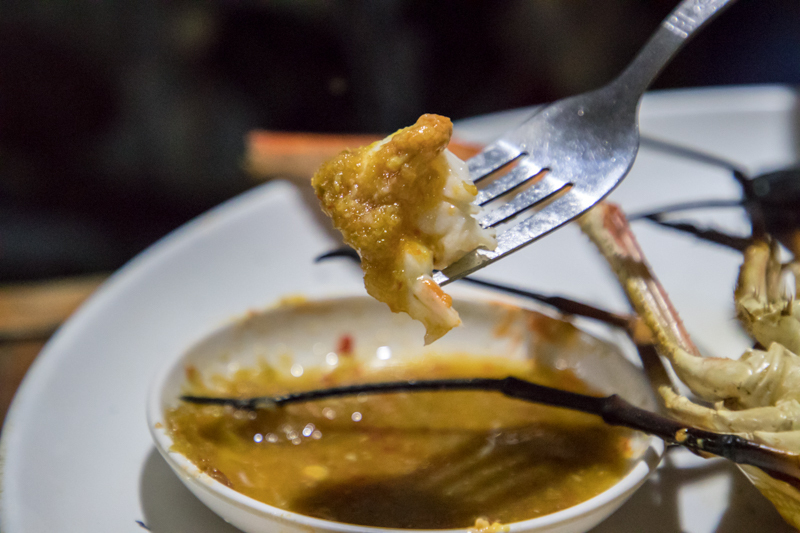 Despite that, the sweet prawns had a bouncy and firm texture. 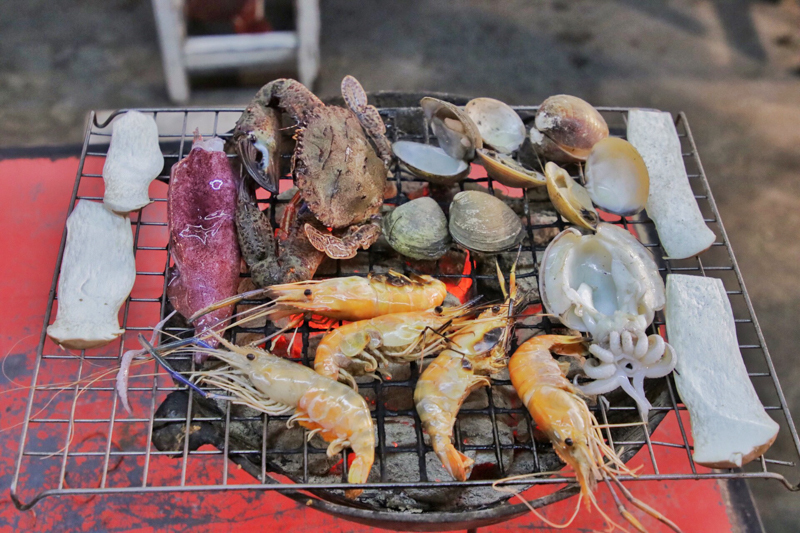 Bordering the sea, Thailand has easy access to the wide variety of the freshest seafood around. 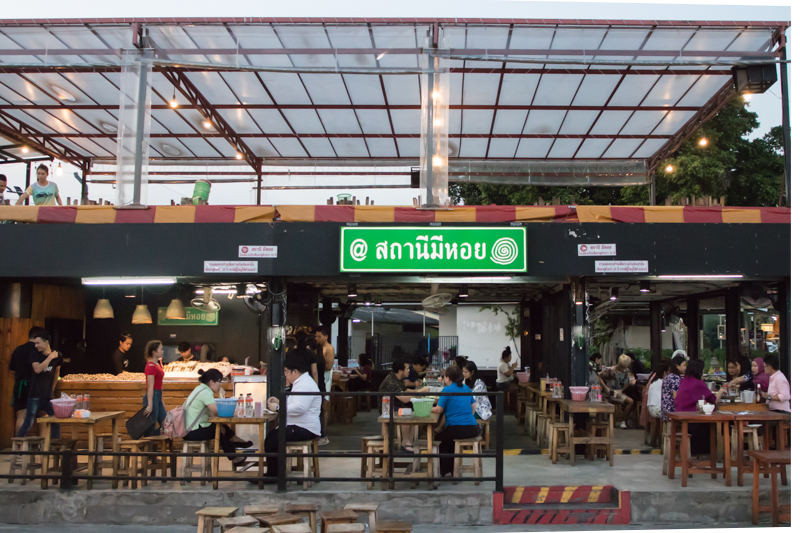 So if you’re looking to indulge in the best seafood around without breaking the bank, Bangkok is the place to go. 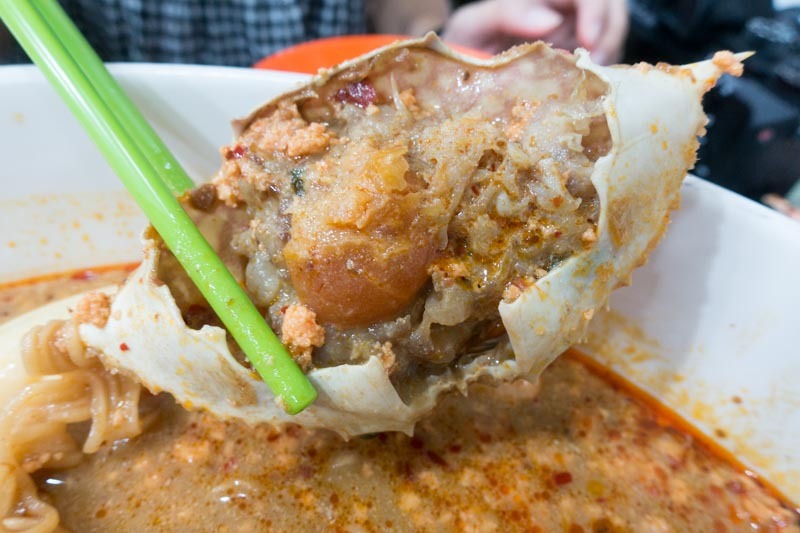 So save up your money for a plane ticket to Bangkok, and go crazy with the inexpensive seafood there! 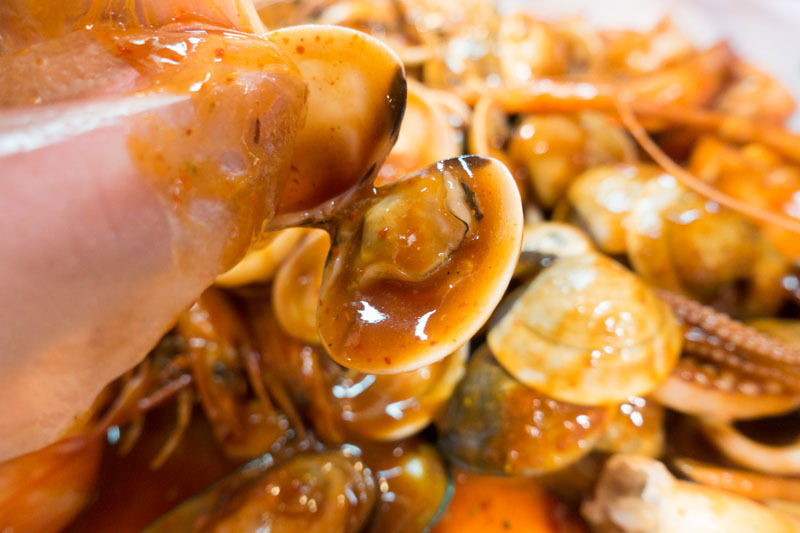 Do you have a favourite seafood place in Bangkok? Let us know in the comments.